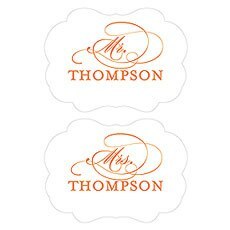 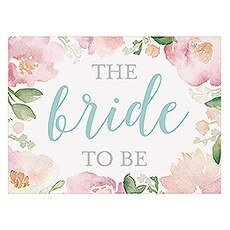 A stylish addition to your wedding day, personalised chair signs in a range of on trend designs. 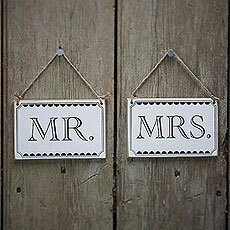 Let your wedding chairs speak volumes with decorative wedding chair signs from Confetti. 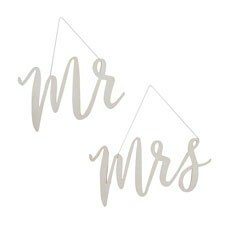 Chair signs add character to the event space for that perfect final touch on your wedding theme, whether it's sweet and country or sophisticated elegance. 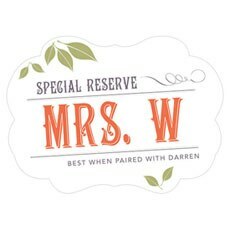 All the chair signs from Confetti are customizable, so you'll be able to make them as personal as you like. 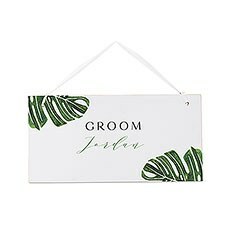 Chalkboard décor is totally on point right now, so incorporating chalkboard chair signs into your wedding is an excellent choice. 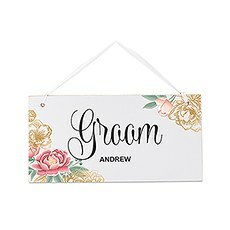 The 31 cm by 15 cm size is perfect for hanging on a chair back without impeding your guests or wedding party, and a scalloped tin frame adds a tasteful hint of personalised charm. 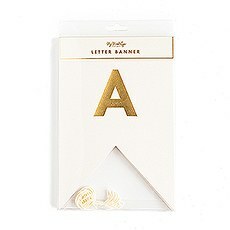 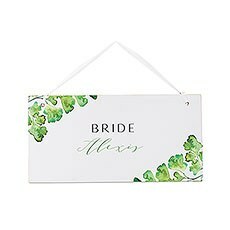 Your bridesmaids or wedding planner will be thrilled to contribute their lovely handwriting to the mix, as well. 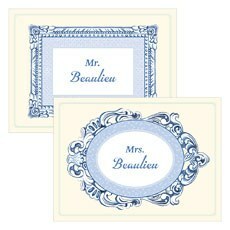 If you are seeking a peerless combination of whimsy and elegance, you can't beat embroidered linen. 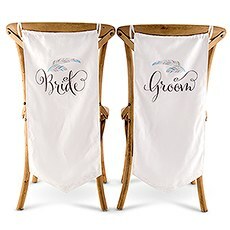 The Feather Whimsy chair banners from Confetti will not only designate your special place at the reception, but they'll also tie in nicely with your floral décor. 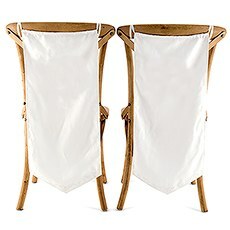 These bold chair banners will add a sumptuous touch to any wedding style, from big-city formal affairs to country-themed barn nuptials. 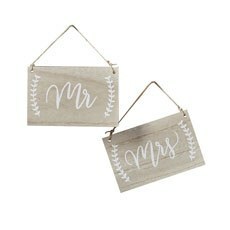 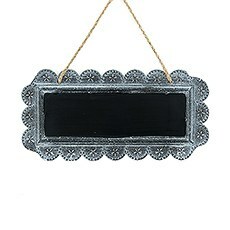 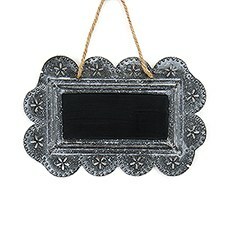 If shabby chic is your thing, look no further than rustic elegance of this metal hook set inscribed with your new titles. 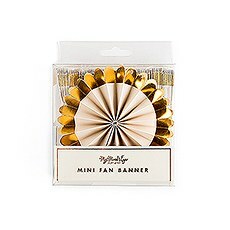 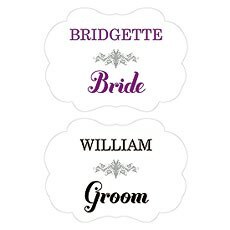 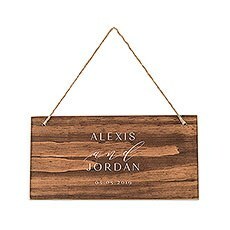 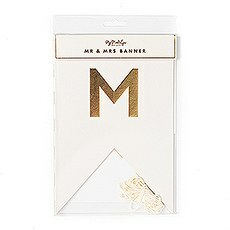 Customize them to your taste with satin ribbons or fresh flowers, and keep them after the event for a delightful reminder of your wedding day in your new home together. They'll look equally stunning in a powder room or a kitchen with hand towels, keys or jewellery suspended from the sturdy hooks. 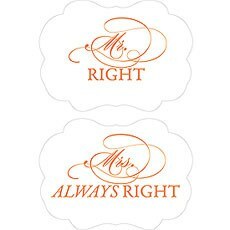 However you choose to designate the seating at your wedding, Confetti has all the best choices and free shipping on North American orders of $99 or more to keep your wedding in style and on budget.